The primary focus of the RFG or Random Flow Generator Nozzle is to transform the flow from your return lines into a beneficial random pattern as opposed to just a flow accelerating. With the RFG Nozzle you can create a more natural environment with a random flow pattern with no moving parts. Plus, the RFG Nozzle moves more water while redirecting the flow in a random pattern allowing you to crank up the GPH on your return pump without blasting your coral or aquacade. 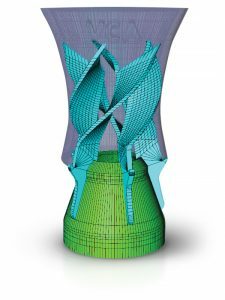 D printing makes the unique internal shape that gives the RGF Nozzle its distinctive water movement properties possible. Each nozzle is manufactured onsite using a quality, reef safe PETG plastic and will hold up the harsh saltwater environment. Optional adaptors available to suit most aquariums including twin outlets, also Red Sea reefer fittings available to fit..